Boeing’s Pad Team Lead, Melanie Weber, performs simulated prelaunch operations inside the Boeing Mockup Trainer for the Starliner located in Houston. 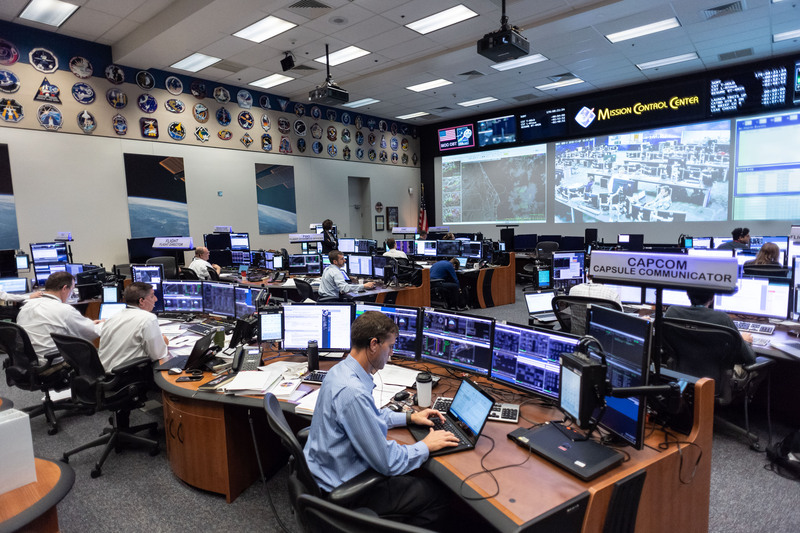 As launch control teams from NASA, Boeing and ULA participate in a prelaunch rehearsal for the Starliner’s upcoming Orbital Flight Test, Weber practices her launch day pad operations from inside the trainer. Prelaunch anomalies were introduced into the rehearsal to provide opportunities for the teams to execute their resolution process. A scrub was called during the countdown rehearsal, allowing participants to test procedures for a delay and a decision to de-tank and prepare for a launch attempt the next day. Boeing’s first uncrewed test flight, known as Orbital Flight Test (OFT), is slated for launch aboard an Atlas V rocket in March 2019. This will be the first flight of the Starliner, and it is a major step toward demonstrating that the spacecraft is ready to begin carrying astronauts to the space station. 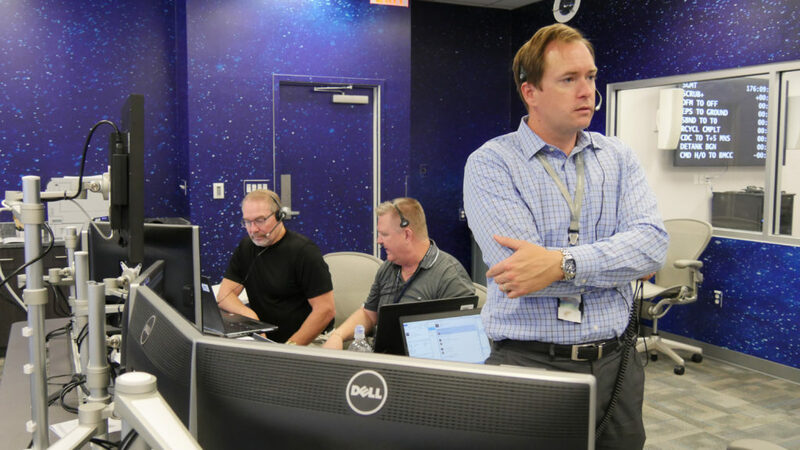 Members of NASA’s launch support team gather in the Emergency Operations Center (EOC) at Kennedy Space Center, Fla. to rehearse prelaunch operations for the Orbital Flight Test of Boeing’s Starliner spacecraft. 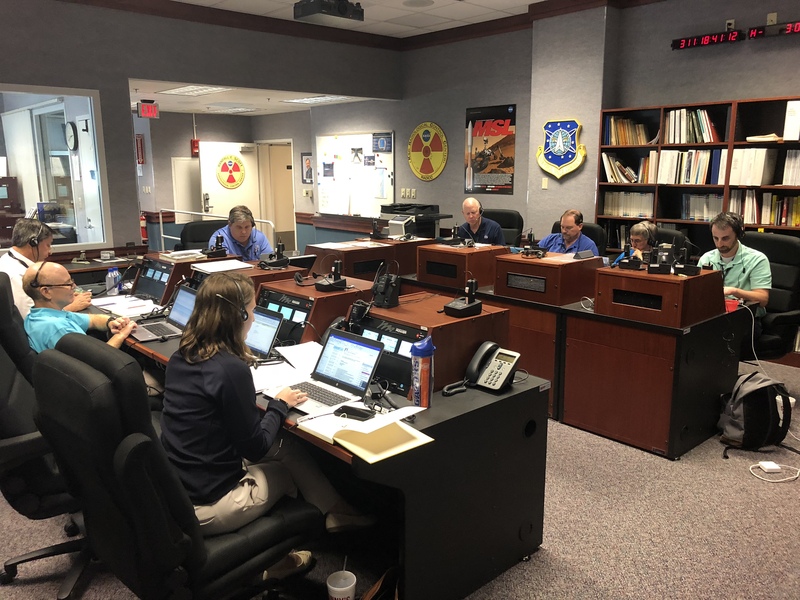 The EOC is where directors for medical triage and launch rescue will execute real-time responses in the unlikely event of an emergency on launch day. 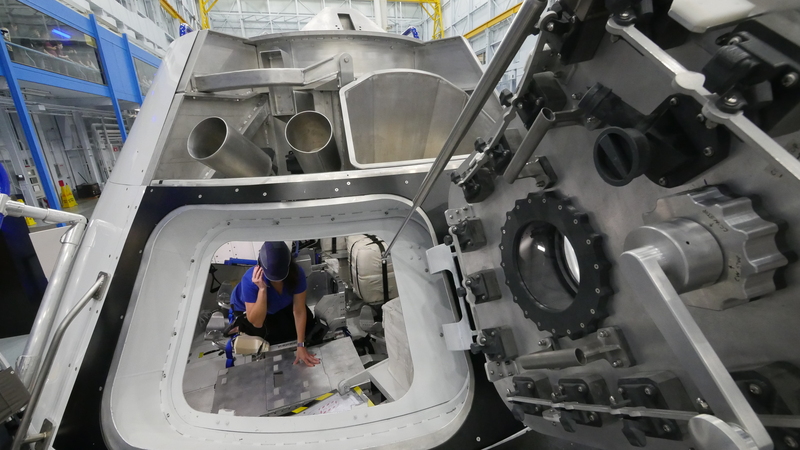 Boeing is manufacturing three Starliner spacecraft in collaboration with NASA’s Commercial Crew Program. Starliner is designed to be reused up to 10 times.